Radio magazine, the radio technology leader published by NewBay Media, announced the winners of the Pick Hit Awards for the 2012 NAB Show. Las Vegas - 2012 NAB Show - April 26, 2012 - Radio magazine, the radio technology leader published by NewBay Media, announced the winners of the Pick Hit Awards for the 2012 NAB Show. The Radio magazine Pick Hits panel selects the top 20 new products introduced at the convention. 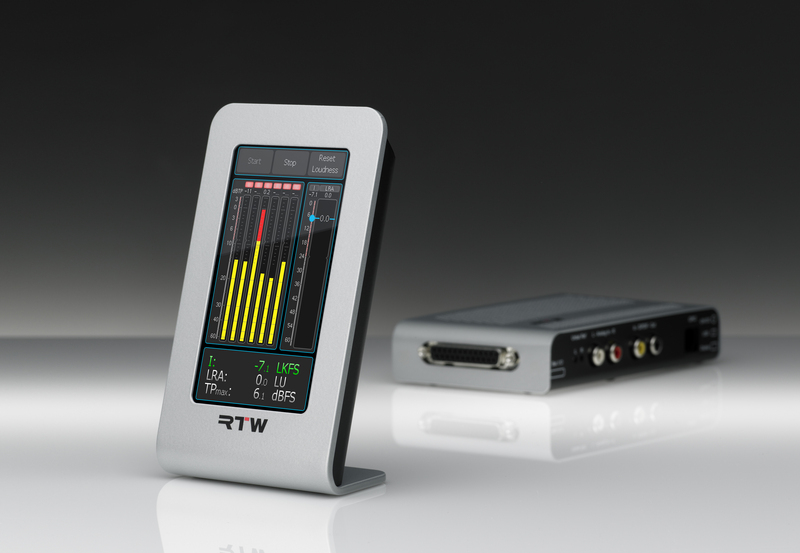 This year, RTW earned one of the coveted Pick Hit Awards for its TM3 TouchMonitor. The TM3 includes features of the larger TM7 and TM9 TouchMonitor versions and is controlled using a touch-sensitive display. With its budget-friendly base price, a 4.3-inch touch screen and stylish exterior allowing for horizontal and vertical placement, the TM3 is a highly appealing, compact solution ideal for editorial offices, edit suites and small control rooms. "The Pick Hit Awards are limited to 20 winners, which maintains the value and prestige of the award," says Chriss Scherer, editor of Radio magazine. “In addition, the Pick Hit Award judges follow a strict set of rules and make their selections independently and anonymously, which is a further testimony to the proven value of the award to radio broadcasters." The Pick Hit Awards were first presented at the NAB Convention in 1985, making them the oldest technology award at the convention. The Pick Hit Awards are selected by a panel of judges who are radio broadcast engineers from radio stations, radio networks and radio production facilities. The official Pick Hit rules require that the winning products must fit a recognized need in radio, are priced within reason, are available within the current calendar year and have never before been exhibited at the NAB convention. The complete list of recipients will be published in the June 2012 issue of Radio magazine, and is also posted online at RadioMagOnline.com. Radio magazine has served the interests of radio station and radio network engineers, managers and owners since being launched on its own in 1994 from its start from another broadcast publication in 1959. Written by radio industry professionals for radio industry professionals, Radio magazine delivers in-depth technical expertise with the most-respected editorial content. Radio magazine is published by NewBay Media.